Little Elden Trail #69 is a 4.7 mile one way hike with 600 feet elevation gain. Located 6 miles north-northeast of Flagstaff Arizona. September and May are the best months to enjoy this hike. 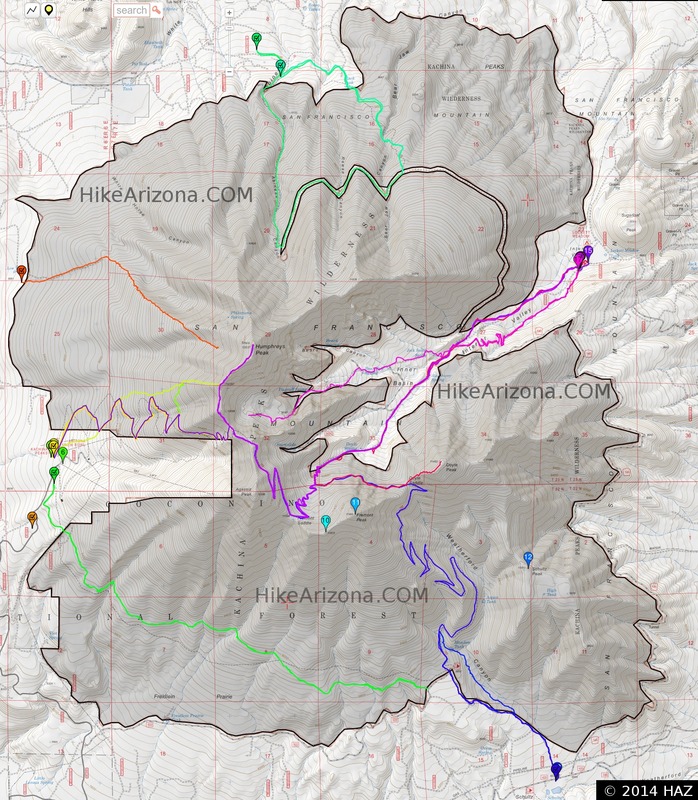 Coconino FS Reports The Little Elden Trail begins within the boundaries of the City of Flagstaff, then leads the user into the heart of the Peaks trail system, at Schultz Tank. From this point you can connect to the Dry Lake Hills/Mt. Elden trails to the south, or the Kachina Peaks Wilderness trail system to the north. The Little Elden Trail winds along the north side of Little Elden Mountain through stands of gamble oak and Ponderosa pine. Drive 5 miles northeast of Flagstaff on US 89. Turn west (left) on FR 556 and drive 2 miles to Little Elden trailhead located on the north (right) side of the road. Equestrian can park at the Sunset Trailhead or the trailhead just west of the Little Elden Springs horse camp on FR 556. The trail may also be accessed from Schultz Tank or via the Sandy Seep Trail.